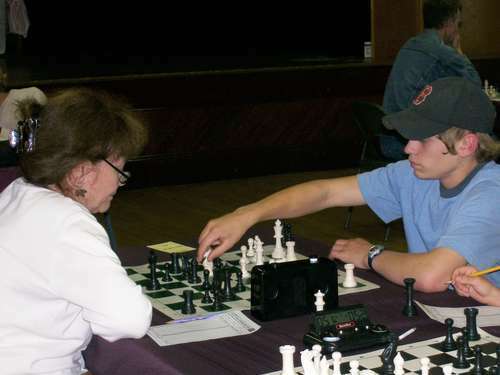 07.28.07 Homeschooler Hoty Briggs blanked the competition with four straight wins at the Washington County Chess Fereration July Swiss to take first place at this monthly event. Tied for second with 3 points were Roger Peterson and Nathaniel Simpson. In the scholastic section, Hoty's brother Ezra took first with 1 point. 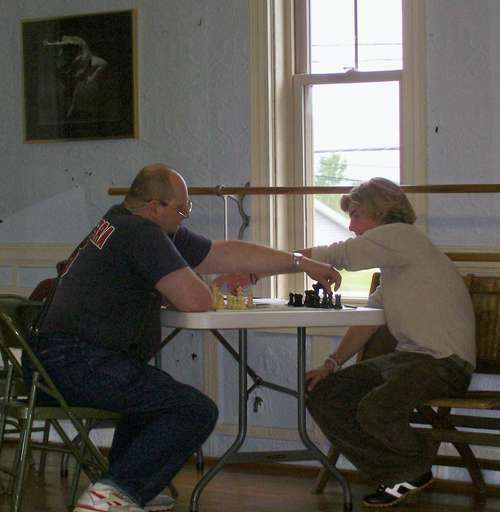 The tournament was held on July 21, 2007 at the Lubec Grange Hall and attracted ten players. 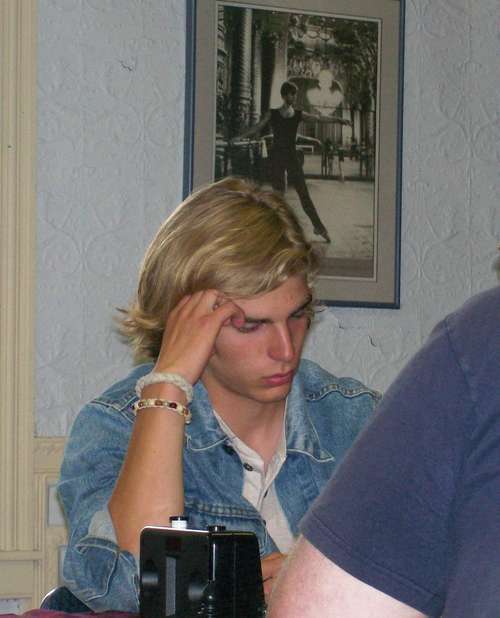 The illustrated tournament report with USCF crosstables and two of the champion's games is here. Hoty Briggs on his way to an unbeaten and untied performance at the WCCF July Swiss. 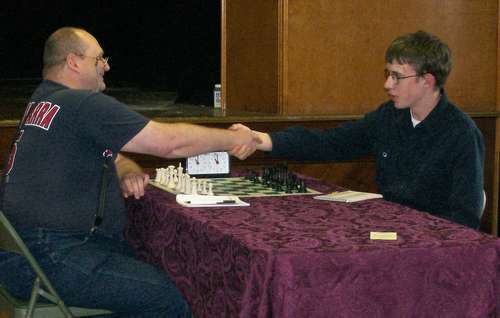 Second place finishers Roger Peterson (left) and Nathaniel Simpson shake hands before their third round encounter which Peterson won. 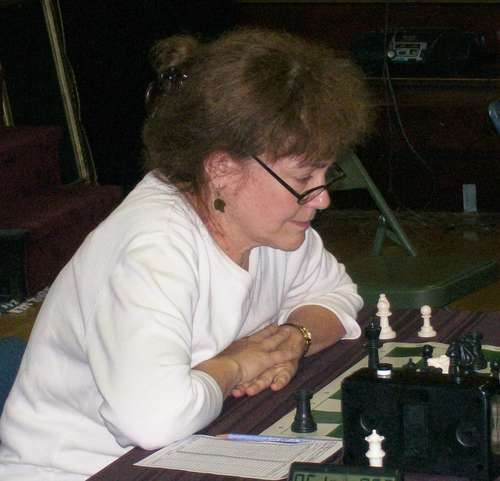 Ginny Pond of Calais playing in her first USCF-rated tournament. Lily Briggs, who will soon be representing the State of Maine at the Susan Polgar National Invitational for Girls, faces off vs Mike McCabe in round 2. Nick Beal makes a move in his fourth round game vs Ginny Pond. Beal went on to win this game to finish the tournament with 2 points. 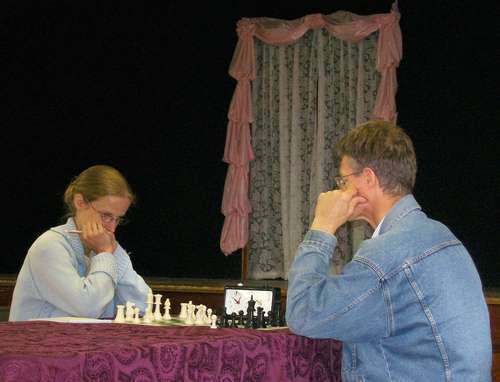 Roger Peterson (left) and Hoty Briggs analyze after their second round game. Congratulations to Hoty Briggs. I went over your games and you're showing a serious determination in your play. Well done indeed.